HONORABLE MENTION: Albertus Magnus 5-3, Alden 5-3, Cardinal Spellman-CHSFL 4-3, Carle Place/Wheatley 5-2, Chittenango 6-2, Clarke 5-2, Dalton-AIS 4-0, Eagle Academy III-PSAL 6-0, East Harlem-PSAL 5-1, Far Rockaway-PSAL 4-1, Fieldston-AIS 4-3, Geneva 5-3, Lackawanna 5-3, Franklin K. Lane-PSAL 4-2, Maine-Endwell 6-2, Malverne 5-2, Maryvale 6-2, Medina/Lyndonville 6-2, Moore Catholic 5-2, Nanuet 5-3, Owego Free 6-2, Palmyra-Macedon 5-3, Schalmont 5-3, Alfred E. Smith-PSAL 4-1, Spackenkill 5-3, Utica Nlotre Dame 5-3, Valhalla 6-2, Wayne 6-2, Windsor 6-2, Xaverian-CHSFL 5-2. 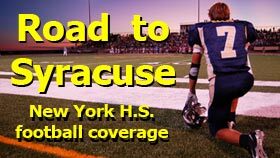 HONORABLE MENTION: Attica 5-3, Burke Catholic 5-3, Chester 5-3, Dobbs Ferry 5-2, Holy Trinity-2 5-3, Letchworth/Warsaw 7-1, Little Falls 5-3, Port Jefferson 5-2, Spencer-Van Etten/Candor 6-2, Watervliet 6-2. 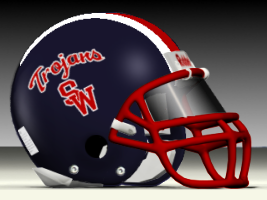 WINNING STREAKS (ALL CLASSES, 8 OR MORE WINS): Chenango Forks 19, Sayville 19, Alexander 10, Groton 9, Bishop Kearney 8, Greece Athena 8, Cambridge 8, Glens Falls 8, Pleasantville 8, Whitesboro 8, East Syracuse Minoa 8, Lancaster 8, Olean 8, Onondaga 8, Troy 8, Hudson 8, Canastota 8, General Brown 8, Yorktown 8, Cicero-North Syracuse 8, Brewster 8, Arlington 8, New Rochelle 8, Guilderland 8, Newark Valley 8, Victor 8, Batavia 8, Hornell 8, East Rochester/Gananda 8, Starpoint 8, Cheektowaga 8, Maple Grove 8, Queensbury 8. LOSING STREAKS (ALL CLASSES, 12 OR MORE LOSSES): Fallsburg 21, Whitney Point 19, Buffalo Nichols 16. 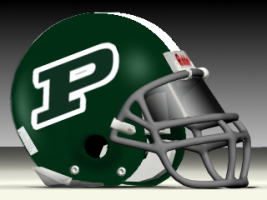 UNBEATEN TEAMS: There are 50 left (13 in Class AA, 12 in Class A, 14 in Class B, 6 in Class C, 5 in Class D).